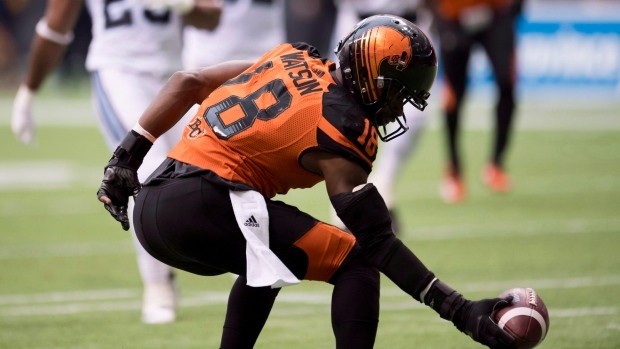 The Saskatchewan Roughriders have signed receiver Cory Watson to a one-year contract. Watson signed with the Riders as a free agent after playing last year with the B.C. Lions. He picked up 406 yards and three touchdowns in 18 regular-season games in 2018. The 34-year-old has spent eight seasons in the Canadian Football League. He was drafted the Blue Bombers in ninth overall in the 2010 draft. He then played for the Eskimos in 2015. Watson has 328 receptions for 3,737 yards and 16 touchdowns in 133 career regular-season games. He also played in six playoff games and two Grey Cup games. He won his first Grey Cup with the Eskimos in 2015.